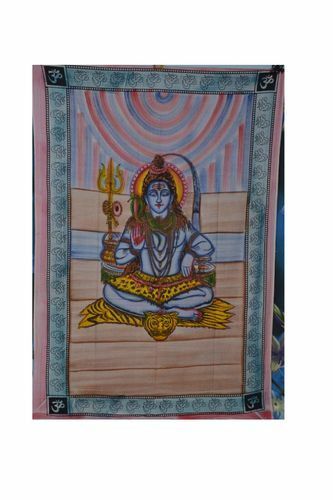 Incepted in the year 1980, we “Raj Handicrafts” are the prominent Sole Proprietorship Company, devoted towards Manufacturing, Wholesaling and Supplying the qualitative range of Spiritual Printed Tapestry, Printed Tapestry, Mandala Tapestry and Wall Hanging Paintings. Located at Jaipur (Rajasthan, India), we are backed by an advanced infrastructural base, which sprawls over a vast area of land. Our infrastructural base comprises of various divisions such as designing, production, procurement, sales & marketing, and warehousing. Under the enthusiastic guidance of “Mr. Rajesh Kumawat” (Proprietor), we have been able to cater the various requirements of our valuable clients.